‘The rotation year provided a fantastic opportunity to work with researchers from around the John Innes Centre and The Sainsbury Laboratory, providing an invaluable introduction to world class research in plant and microbial science. 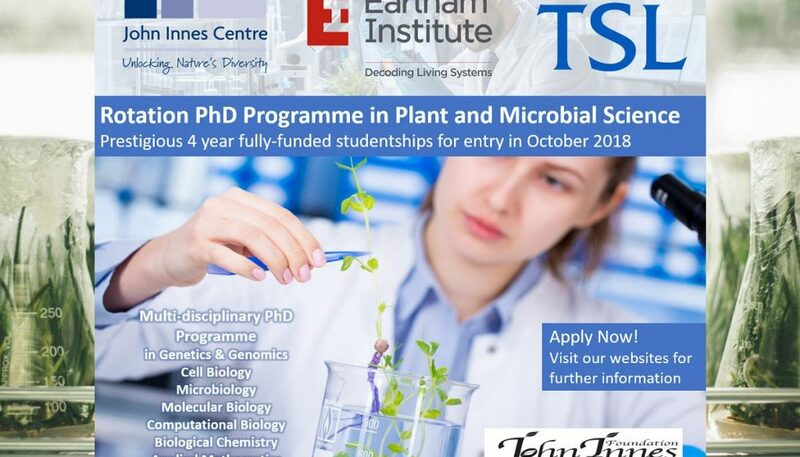 Application are now open for the Rotation PhD programme positions hosted between the John Innes Centre, The Earlham Institute and The Sainsbury’s Laboratory. The deadline for submission is the 30th of November 2017. The prestigious Rotation PhD programme is designed for outstanding applicants with excellent academic records who show the potential for research at the highest level. During the first rotation year, you will undertake 10-week research projects with three different supervisors located in any of the three partner institutes. A traditional PhD studentship has a pre-defined research project and supervisor. By contrast, a rotation PhD programme allows you the student to select several mini-research projects in the first year before choosing a topic and supervisor for your main research project. 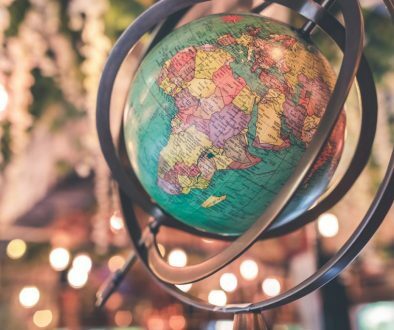 The expected outcomes from the Rotation PhD Programme will be: well-rounded multidisciplinary training in research; the timely completion of an excellent thesis; publications in high-ranking international refereed journals; and a firm foundation for a distinguished career. The Rotation PhD Programme is sponsored by the John Innes Foundation, together with the three partner institutes. Year one begins with a three-week period of intensive training and orientation. This is designed to introduce all the research programmes currently being pursued at the John Innes Centre, The Sainsbury Laboratory and the Earlham Institute. You will attend departmental presentations, the John Innes Centre Annual Science Meeting, a Rotation Students’ Retreat for all year groups, and a range of one-to-one meetings of your choice with supervisors whose research particularly interests you. You will then undertake 10-week mini-research projects with three different supervisors located in any of the three partner institutes. By June of the first year, you will have selected the supervisor with whom to embark on the main research project. What is effectively a fourth rotation period of 16 weeks, you will conduct exploratory experiments and write a research proposal.